Thou orb aloft full-dazzling! thou hot October noon! O sun of noon refulgent! my special word to thee. Or man matured, or young or old, as now to thee I launch my invocation. Walt Whitman (1819 - 1892) is primarily known for a collection of poems called Leaves of Grass, which he completely revised at least five times during the course of his life and which appeared in print in at least three different editions. 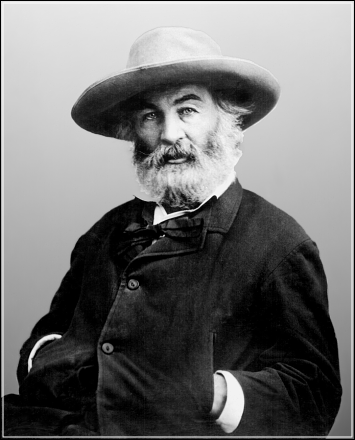 Though his formal education ended with elementary school, Whitman was an educator at several points in his life. More often, he worked as a printer, a clerk, or a nurse; he was chronically poor, but managed to interject culture (he loved opera) and travel into his life. He achieved international acclaim during the course of his career, but probably had as many detractors as he did fans. Gotta love the last verse, a poem in itself!